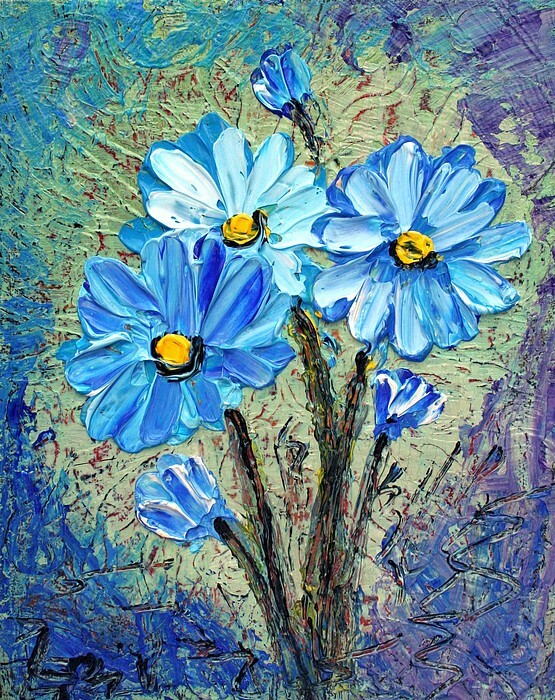 There are no comments for Blue Flowers . Click here to post the first comment. 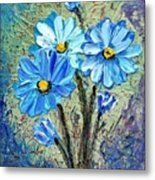 Title:BLUE FLOWERS- TEXTURED OIL PAINTING on CANVAS Size: 8"X10"X3/4" Date: 2009 Medium: oil,varnish on gallery stretched cotton canvas (staples are on back, not on sides). The sides are painted. 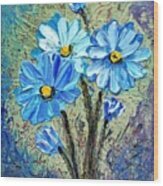 Support: wooden stretcher bars. ~Additional Info: -sigature-front and back -title and date- back -ready to hang right out the package. COA will be included with my original signature. Please,email me for the details and price.